Another luxurious conference lanyard style made from a combination of polyester and satin. 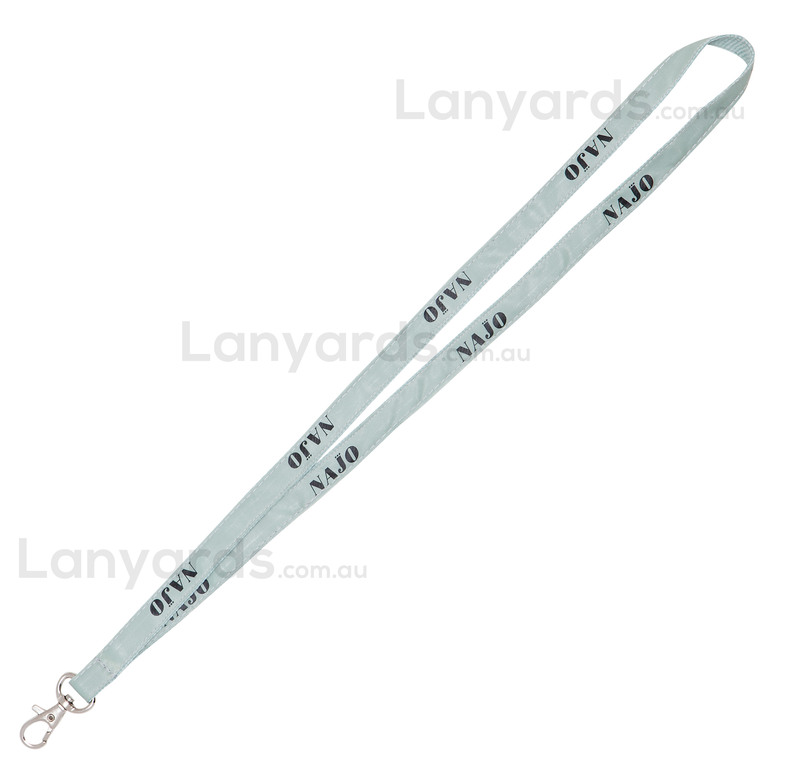 These are a layered lanyard with a polyester backing and satin ribbon that is stitched to the top and silk screen printed with your logo or text and repeated along the lanyard. Great for fashion events or high end event nights, you can really get creative with these polyester and satin lanyards to make a memorable promotional lanyard that people will keep long after the event. 15mm width with a choice of six different card holder attachments, anyone receiving these double layered lanyards will be impressed.